First, I am pleased to introduce two recent additions to the Texas Commission of Licensing & Regulation, the seven-member board that oversees the agency: Ray Callas, M.D., FASA, of Beaumont, and Gary Wesson, D.D.S., M.S., of Bastrop. Given TDLR's still-new role in overseeing 15 medical and health-related professions, I'm especially pleased to note that both of our new Commission members have extensive medical and health-related backgrounds. Dr. Callas is a physician anesthesiologist and partner for Anesthesia Associates. He holds a Bachelor of Science in microbiology from Texas A&M University and a Doctor of Medicine from University of Texas Medical Branch. Dr. Wesson is a retired orthodontist with a Doctor of Dental Surgery and a Master of Science in orthodontics from University of Texas Health Science Center Dental School at Houston. He's also a former assistant clinical professor at University of Texas Health Science Center San Antonio Dental School, Department of Developmental Dentistry. When the transfer of programs to TDLR from DSHS began in 2015, many of us at TDLR received a crash course in medical terminology and lessons in "how to think like a public health official." It hasn't always been easy, I'll admit, but we've been lucky to have so many talented staffers from DSHS join our team and help us along the way as we grew and learned. And without question, the feedback and expertise from our health professions advisory boards has been invaluable to our success. Having this medical and health knowledge extend to our Commission, where critical decision-making in a fast-paced environment is standard at every meeting, is not only a huge net positive for the agency, but for you, our licensees, and our fellow Texans whose health and safety we strive to safeguard. I'd like to thank Governor Greg Abbott and his team for making these wise and welcome additions to the Texas Commission of Licensing & Regulation. Next, I want to share with you an important milestone: In July 2018, TDLR surpassed 800,000 licensees for the first time. As of August 2018, our total population of licensed individuals, businesses, facilities, and equipment is 809, 465 — a phenomenal number reflecting the awesome responsibilities entrusted to our agency in recent years. To put this number in perspective, in 2014, the year before the DSHS transfers began, our population stood at 621,000. That's a 30 percent increase in just over four years. We've handled this growth in our responsibilities through innovation and sheer hard work - equal parts inspiration and perspiration. While there certainly have been some bumps along the road, I sincerely hope that we have served you well during your time at TDLR so far. I promise to each of you that we will strive in the months and years ahead to deliver an exceptional customer service experience to you and your fellow health professionals, and continue to assist you, in the best way we know how, to ensure the health and safety of our fellow Texans. The newest licensing program at TDLR, Behavior Analysts, was created by the 85th Texas Legislature through the enactment of Senate Bill 589 in 2017. The bill created state licensure requirements for behavior analysts and assistant behavior analysts in Texas. TDLR began accepting online applications for behavior analysts and assistant behavior analysts on June 15, 2018. By close of business on June 15, we had received 311 applications. One week later, by June 22, over 600 licenses had been issued. As of August 24, the number of licensed behavior analysts and assistant behavior analysts in Texas stands at 1,323. To be eligible for licensure or license renewal, an applicant must be currently certified by the Behavior Analyst Certification Board (BACB). At this time, only persons holding Board Certified Assistant Behavior Analyst® (BCaBA®), Board Certified Behavior Analyst® (BCBA®), and Board Certified Behavior Analyst-Doctoral™ (BCBA-D™) certifications are eligible for licensure. Apply online to become a licensed behavior analyst or a licensed assistant behavior analyst. To find out the latest program news, be sure to sign up for email updates and keep an eye on the Behavior Analysts program webpage for more information and FAQs. Licensed audiologists can now add or remove supervisees (audiology assistants and interns) using the TDLR online system. 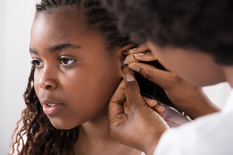 An audiologist who has been licensed for at least two years may supervise a combined total of four assistants and/or interns. The licensee's internship year counts toward the two years of licensure experience. Previously, the supervisor had to submit a new Supervisory Responsibility Statement form to notify TDLR of any changes in supervision of an audiology assistant. For changes in supervision of an audiology intern, the supervisor had to submit a new Intern Plan of Agreement and Supervision. The forms had to be printed, completed, and sent back to TDLR for processing and approval, and this process could take several days or weeks. Now, the new online system reduces the need for submitting paper forms. Licensed audiologists who are eligible to supervise can log-in to their online licensing accounts to add or delete assistant and intern supervisees. When using the online system, the changes made by the licensed supervisor are immediate. Supervisors may print a summary of their current assistants and interns as soon as they make any changes. Please note that supervisors may add or delete assistants and interns who are currently licensed, but supervisors may not add or delete applicants who have not yet been issued a license. A paper form will still be needed for applicants not yet licensed. To read detailed instructions on how to navigate the reporting system, click here, and to get acquainted with the new system, click here. TDLR is grateful to the men and women who are serving or have served in our country’s armed forces, as well as their spouses. We also recognize that experience, training, and education gained while on active duty in the military can often lead to a promising career in civilian life. We have identified several license types that correspond with a related military occupational specialty. Applicants who would like to have their military experience evaluated should submit documentation, such as their discharge certificate (DD-214) and/or their verification of military experience and training (DD-2586), along with the appropriate application and other required documents. Other benefits that we extend to active military members, military spouses, and veterans include possible waiving of your initial application fee and expedited processing of your initial license application. Also, if you hold a license that expires while you are serving on active duty, you may be exempt from paying late renewal fees or eligible for a continuing education extension. You can learn much more about TDLR’s military outreach efforts at https://www.tdlr.texas.gov/military.htm. If you were king or queen for a day, what changes would you make to TDLR’s laws, rules, or processes? During the next five years, what major changes do you expect in your profession or industry, and in the state of Texas? What changes should we make to prepare for the next catastrophic event, such as Hurricane Harvey? We asked these same questions in an online survey for people who could not attend an in-person session. Participants shared their thoughts about how we’re doing and how we can improve. Ideas and suggestions from these strategic planning efforts make a difference. We make process improvement and rule changes based on your feedback, and we share your feedback with state lawmakers. Your ideas create real change for Texas. The Texas Commission of Licensing & Regulation adopted amendments to existing rules regarding the Orthotists and Prosthetists program and the Mold Assessors and Remediators program at their meeting on July 20, 2018. For information on the amendments, please read the Justification for Adoption of Orthotists and Prosthetists Administrative Rules and the Justification for Adoption of Mold Assessors and Remediators Administrative Rules. The amendments take effect on September 1, 2018 and updated rule chapters will be available on the program webpages that same day. Please visit the Orthotists and Prosthetists program webpage and the Mold Assessors and Remediators program webpage for more information. The Texas Commission of Licensing Regulation has adopted new Criminal Conviction Guidelines for Registered Sanitarians and Code Enforcement Officers. The guidelines describe the process by which TDLR determines whether a criminal conviction means an applicant is an unsuitable candidate for the license, or whether a conviction warrants revocation or suspension of a license that was previously issued. For more information on Criminal Conviction Guidelines, please visit TDLR’s Enforcement Plan webpage. Visit the recently-updated Dietitians homepage to learn more. 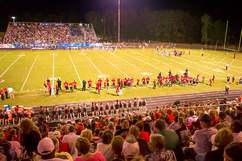 It’s time to kick off another season on the gridiron. It’s also time for many of Texas’ licensed athletic trainers to enter into one of the busiest seasons of their year. From the small West Texas high school playing 1A/six-man football to the Dallas Cowboys and Houston Texans, athletic trainers play a crucial role on every team. Athletic trainers, serving under the direction of a licensed physician, provide a form of health care that includes preventing, recognizing, assessing, managing, treating, and reconditioning athletic injuries. Their hard work and commitment is evident whenever you see them on a sideline, from stabilizing a wide receiver’s ankle to evaluating a defensive lineman for possible concussion symptoms. As the first state to license and regulate athletic trainers back in 1971, Texas has been on the forefront of regulation across the country. TDLR is proud to continue this legacy of athletic trainer regulation. If you would like to learn more about athletic trainer licensing, visit the program’s webpage. TDLR is looking for subject matter experts to serve on the Sanitarian Examination Review Committee and the Podiatry Examination Review Committee. Committee members create, update, and evaluate the performance of exam items. To apply for appointment to the Sanitarian Examination Review Committee, please complete the application found on the program webpage and submit it to TDLR by September 14, 2018. To apply for appointment to the Podiatry Examination Review Committee, please complete the application found on the program webpage and submit it to TDLR by September 14, 2018. This feature of the TDLR Health Monitor takes a closer look at a program-specific topic useful to that program’s licensees. We select this topic based on questions received by our customer service representatives or questions received by TDLR staff while conducting outreach activities. This edition focuses on approved behavior analysis certifying entities and qualifications for assistant behavior analyst licensure. Question: I have my Qualified Autism Service Practitioner (QASP) certification. Do I qualify for Texas licensure as an assistant behavior analyst? Answer: No. Texas law requires that a behavior analysis certifying entity must be either the Behavior Analyst Certification Board or another certifying entity that is accredited by the National Commission for Certifying Entities (NCCE) or the American National Standards Institute (ANSI). At this time, the QASP certification issued by the QABA Credentialing Board is not accredited by NCCE or ANSI. Persons who hold the Board Certified Assistant Behavior Analyst® (BCaBA®), Board Certified Behavior Analyst® (BCBA®), or Board Certified Behavior Analyst-Doctoral™ (BCBA-D™) are eligible for Texas licensure. Each TDLR licensing program has its own webpage, accessible from www.tdlr.texas.gov. On the program webpage, you can find valuable information on continuing education, forms, rules, frequently asked questions, and more. Do you have a question for the Behavior Analysts program? Email us at: CS.BehaviorAnalysts@tdlr.texas.gov. Do you need a verification of your license? You can do that online! The link can be found on the right side of your profession’s program webpage, or you can go directly to https://www.tdlr.texas.gov/verify.htm. Over the past few months, TDLR Medical and Health Professions staff were present at four conferences attended by more than 10,000 regulated professionals. This gave us a great opportunity to share important licensing information and answer questions directly from the professions we serve. 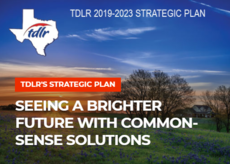 This fall, TDLR staff will be available at several conferences and meetings across Texas to provide licensing and program information to attendees. We hope to see you at one of these upcoming events! TDLR is available to provide informational presentations and/or staff booths at your next conference or meeting. If you would like a TDLR representative at your next conference or meeting, contact us at: RPM.Health.Professions@tdlr.texas.gov. TDLR will hold a public hearing on a proposed rule regarding the Orthotists and Prosthetists program. The public hearing will be held on Thursday, September 6, 2018 at 9 a.m. at the Twin Towers Office Center, 1st Floor Public Meeting Room #125E, 1106 Clayton Lane, Austin, Texas. The purpose of the hearing is to receive comments from all interested persons concerning the proposed new rule at 16 Texas Administrative Code, Chapter 114, §114.75. The proposed rule was published in the April 13, 2018, issue of the Texas Register (43 TexReg 2213) and posted on TDLR’s website. For more information about the hearing, please see the Orthotists and Prosthetists webpage. Unless otherwise noted, Commission meetings and all advisory board meetings are held at TDLR's North Campus in the 1st Floor Public Meeting Room. TDLR public meetings are broadcast live and archived on TDLR's YouTube channel. Meeting notices, agendas, and staff reports are posted on the TDLR Meetings page. The Orthotists and Prosthetists Advisory Board is scheduled to meet Thursday, September 6, 2018 at 1 p.m. The Texas Commission of Licensing and Regulation is scheduled to meet Friday, September 14, 2018 at 8:30 a.m. The Massage Therapy Advisory Board is scheduled to meet Tuesday, September 16, 2018 at 1 p.m. The Dyslexia Therapists and Practitioners Advisory Committee is scheduled to meet Monday, September 24, 2018 at 10 a.m.